While injuries happen every day, no one expects to be involved in a serious accident. When you don’t know where to turn for help, call Mesa Law Firm. Insurance companies and other third parties will do everything they can to avoid paying for your damages. 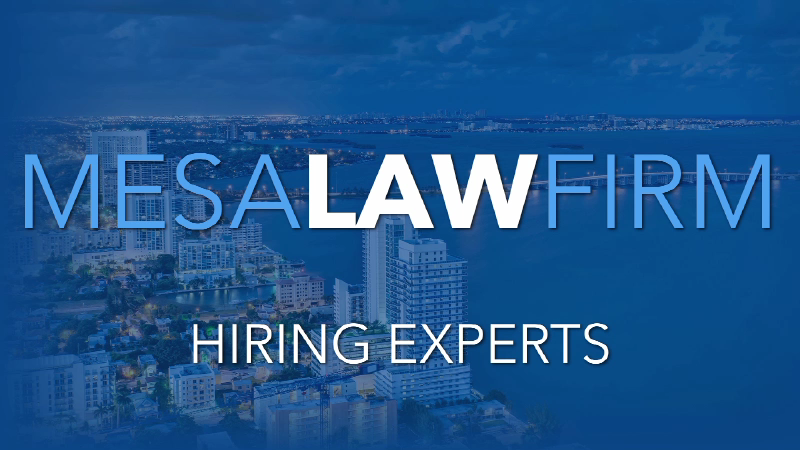 With 15 years of litigation experience, we have the resources and knowledge needed to fight for your right to full compensation. If you go it alone, you could end up paying for your medical bills, lost wages, and other damages yourself. With a competent attorney, however, you will have knowledgeable, experienced guidance and representation to help you win fair compensation. 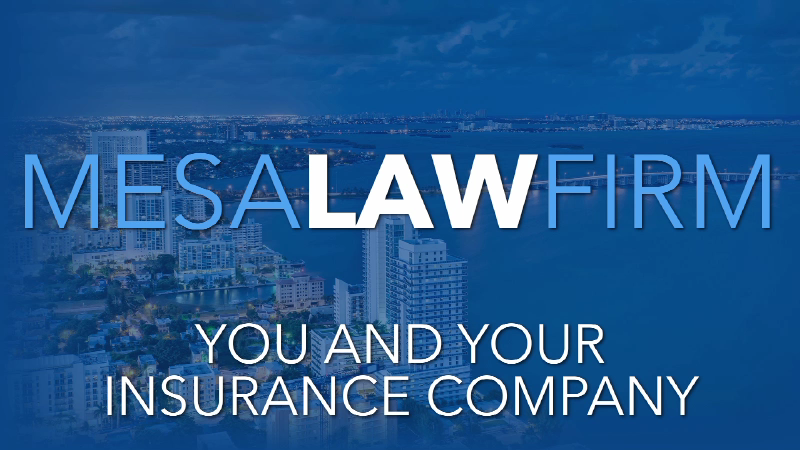 Attorney Mesa works on a contingency fee basis, which means that you won’t be billed for anything until you win. Attorney Mesa’s success is tied to yours, and he will do everything he can to make sure you get the maximum compensation possible. Call (305) 831-4533 today to discuss your case with Attorney Mesa for free! If you or a loved one has been injured, we at Mesa Law Firm can make sure that the negligent party responsible for the accident is held accountable and pays for your damages and losses. We promise to treat you with genuine care in a professional manner, listening to your concerns, and helping you get the compensation to which you are entitled. Joseph A. “Tony” Mesa, III pursued a career in law so that he could seek justice for those who couldn’t do so for themselves. He has been able to achieve this goal through his personal injury practice, a law firm founded on professionalism and compassion. Tony recognizes that after a personal injury, victim’s lives are often changed permanently. He is dedicated to helping his clients reach the financial recovery they urgently deserve by providing trial-tested skill and personal service. Voted the top personal injury lawyer by clients on Avvo, Tony has also been recognized for his excellent, successful service by noteworthy publications, such as Super Lawyers®, Florida Trend Magazine and Martindale-Hubbell. He is known for fighting hard on his clients’ behalf against insurance companies, and their team of lawyers, investigators and doctors trying to deny his clients rightful compensation. He makes that fight a fair one, ensuring that his clients’ voices are heard. He is ready to fight for the full compensation you deserve. No two injury cases are the exact same, so we would need to know the specifics of your claim to provide a more specific evaluation. But in general, you may be able to seek financial compensation for past and future medical costs, past and future wage losses, and diminished earning capacity. Non-economic losses that you can pursue compensation for include pain and suffering, mental anguish, and loss of capacity for enjoyment of life. After an accident, you should always visit the doctor, no matter how minor you think your injuries might be. It may not be until the shock and adrenaline have fully faded away that you can sense serious injuries such as head trauma, and this could take days or even weeks after an accident has occurred. The earlier you go the doctor's office, the earlier you can detect and thus treat such injuries. Medical records are also crucial for pursuing compensation for the accident. When Do I Need an Injury Attorney? If you or a loved one has been injured in an accident, then a lawyer can be your best bet of gaining a full financial recovery. An injury lawyer has the experience and resources to fully investigate your case and build a strong claim. Furthermore, when you are up against an insurance company, its highly trained team of adjusters and lawyers will be fighting your claim to protect their bottom line. If you join forces with an experienced injury attorney, he or she can level the playing field for you. When you work with a contingency fee lawyer, such as at Mesa Law Firm, you will have no upfront or out-of-pocket costs. We only get paid if you do, as our payment comes from a percentage of the compensation we win for you. Call us today to learn more. From dealing with insurance to knowing what to expect from your personal injury case, our law firm provides the ready information you need to understand your rights and options. If you would like to discuss your specific case in depth, please don’t hesitate to schedule your free consultation with Mesa Law Firm. In the meantime, you can hear directly from our Miami personal injury lawyer in our helpful videos.